Classic Brit bike marque BSA has been purchased by Mahindra, making it the latest English vehicle manufacturer to be bought up by overseas owners. Now, BSAs will be built in India, but a few years ago, it could have gone very differently, when a Nova Scotia businessman was interested in buying the brand. First, a quick history lesson: BSA (Birmingham Small Arms) made some of the world’s fastest production bikes during the heyday of England’s motorcycle industry. 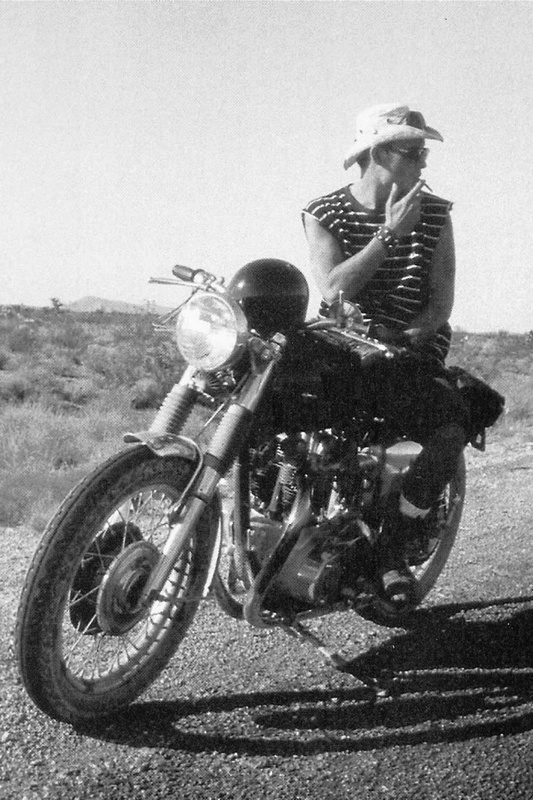 While best-known for making reliable motorcycles for the average consumer, it also made sportier models like the 650 cc Lightning (which captured the attention of Hunter S. Thompson, who used his to ride with the Hells Angels). The company got its start building rifles and bicycles in the 19th century (hence the name), and still exists today, but with no motorcycles manufactured since the 1970s, when the Japanese brands crushed the UK’s motorcycle manufacturers. For decades, the brand was dormant, which is why John Wesley Chisholm, a motorcycle enthusiast from Halifax who’s owned BSA motorcycles since his teenage years, was interested. Chisholm says he looked into buying the brand back in 2009, after hearing it was for sale. As a long-time BSA aficionado, he’d called the parent company to inquire further. His interest was dampened by two roadblocks. First, the brand had some issues with trademark infringement at that time – Chisholm says bicycle shops in India were cranking out cycles bearing the BSA badge. That would have been a big problem, because his own plan was to first sell BSA-branded made-in-Nova Scotia bicycles, and then move on towards the electric motorcycle market if all went well, echoing BSA’s path at the start of the 20th century, but with modern technology. Second, Chisholm remembers BSA wanted “around $5 million” for the brand, which was money he wasn’t prepared to pay, especially considering the issues he would face getting the brand rolling again. So that was the end of it. (For reference’s sake, Erik Buell Racing sold to Liquid Asset Partners earlier this year, for $2 million US, as a “turn key” motorcycle manufacturing operation). It might seem ironic that an Indian company is buying such a venerable British brand, but most British firms are now foreign owned. In fact, Triumph is probably the most notable exception. Rolls-Royce is owned by BMW, Bentley is owned by Volkswagen, Jaguar is owned by India’s Tata Motors and even James Bond’s beloved Aston Martin is owned by an American consortium that’s mostly backed by Kuwaiti investment firms. What Paul Mitchell said. No way that BSA would have come to Canada without a lot of dosh in followup. Mahindra has that in spades, so you can look forward to being able to buy a BSA at some point in the near future. Exactly. BSA for $5 mill was not a turn key operation, like that EBR deal earlier this year. And there is finally a new CANADIAN Production Motorcycle hitting the Market on November 19th this year. The all Canadian Williams Custom Bikes of Alberta. There is an earlier article right here on CMG about it. The official unveiling of the first Model the “Irv Special 100” will be at Blackjacks in Nisku on November 19th. The Bike is 100% built in Alberta with a US Ultima 100cubic Inch V-Twin and there is plans for 4 more models over the next 2 years. That’s a laugh. The school system is cranking a bunch of spoiled brats who think they’re going to be corporate lawyers. Then by the age of 21 they’ve specialized in playing the welfare game. Thanks to trade unions, nobody can touch a drill press unless they get paid $40 an hour. The socialist paradise of canadian cities is being paid for by strip mining the north. Relic, I’m confused – where you reading the same article I was ? What does your rant have to do with the value of a defunct English motorcycle marque ? Are you related to Rui ? Bloody Sore Arse was my father’s description. BSA = B*stard Stopped Again. Actually, Rolls-Royce is owned by Rolls-Royce. BMW just has a license to use the Rolls-Royce name for its luxury car business. Yes and no, Mad Matt. Rolls-Royce, the company that makes airplane engines, is still the original company, but it sold the rights to the cars back in the late ’90s. Rolls-Royce Motorcars, which is the reference here, is now entirely owned by BMW. Puts the value of BMW into perspective when it outright buys such a historic and well-sleeved marque.